Certain fire safety products require CCC Certification in order to be legally exported to China, and used within business activities there. The China Certification Center for Fire Products(Chinese: 公安部消防产品合格评定中心), or CCCF, is responsible for the certification and subject to the Ministry of Public Security. The CCCF headquarters are located in the Chinese capital of Beijing, and the authority employs around 200 workers. 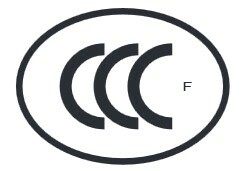 The CCCF exclusively handles the approval of fire protection products, in contrast to the China Certification Centre for Automotive Products (CCAP), which implements the Certification of Automobile Components, and the China Quality Certification Centre (CQC), which is responsible for virtually all CCC obligatory certification products. The CCCF is organized into several departments and employs external auditors alongside its own internal auditing team to implement factory inspections. Independent CNAS accredited test laboratories are consulted for product tests. The CCCF will authorize a test laboratory for product testing after all application documents are accepted. GB Standards. There are around 300 of these standards in existence for fire protection products, however new regulations are published regularly. The legislative basis for the publication of new Implementing Rules and GB standardsgenerally forms part of the Fire Control Law of the People’s Republic of China (Chinese: 中华人民共和国消防法), otherwise the Regulations of the People’s Republic of China on Certification and Accreditation (Chinese: 中华人民共和国认证认可条例). Initial contact with authorities and the implementation of the certification process often presents a major challenge for companies. No information in English is provided on the CCCF website, and the application documents are only available in Chinese. It requires an increased amount of effort and communication skills to establish an information and discussion base with the authorities. The certification process is similar to the CCC certification with the CCAP or CQC. The authorities will request samples once the application has been accepted, which will then be tested to GB Standards in a Chinese test laboratory. The CCCF will issue the CCC Certificate upon successful completion of the tests and audit, and the permission of printing (or marking permission) may then be applied for. Specific requirements (diameter, height etc.) must be strictly adhered to in order to apply for the label. There is a risk that incorrectly labelled components will be detained by customs. Annual follow-up inspections must take place in order to ensure the validity of the CCC Certificate, and will always be implemented by Chinese CCCF auditors. Inspections by other institutions are not permitted. The permission of printing is only valid for twelve months, and must be regularly extended. Otherwise, fire safety products that require a CCC may not be legally imported to, or sold within, China, and may be detained by Chinese customs. Are you interested in the CCC Certificate for fire safety products? Then do not hesitate to contact us. Of course, we are able to answer any general questions you may have regarding the CCCF. Send us an email or call us and we will be pleased to assist you.